Sorry for my unannounced absence - I've been lucky enough to have had another holiday this summer. 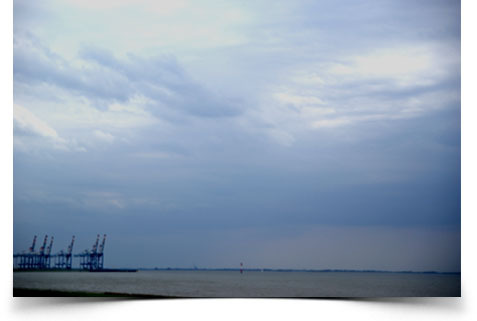 This time to the German North Sea coast. My parents are in the process of building their retirement home in a small quiet seaside town and so we all gathered up there to have a family holiday. It was exciting to see their little blue house and be once again blown away at my dad's skill at doing everything by himself. This will be his third house that he has built for the family. My mum will no doubt turn this new house into a warm and welcoming home when it's finished. 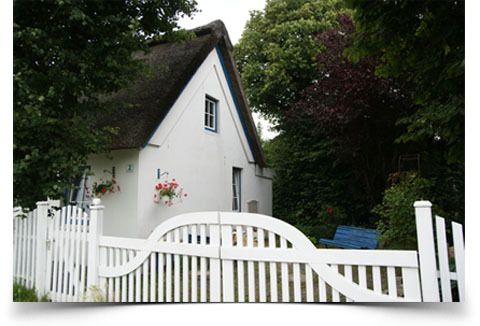 My mum and I visited one of Villeroy and Boch's stores and I fell in love with their new blue and white range called "Farmhouse Touch Blueflowers" Maybe it was the proximity to the sea and all the cute little thatched roofed houses that got me dreaming of a country style setting just like the one below. How beautiful is the ring of different blues around the plates? It's traditional yet works well in a more contemporary setting as well. For more info visit Villeroy and Boch's website. I came across this little house just tucked behind the dunes - isn't is adorable? The perfect holiday retreat. 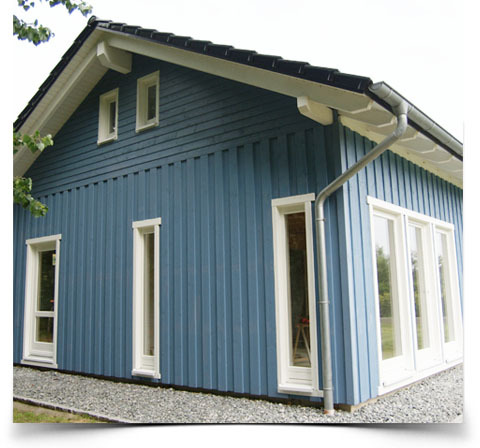 The blue house looks so wonderful. Your father is a very clever man ! I used to love looking at Villeroy and Boch in the Ballantynes china dept. Love the blue and white. Lovely photos !